The Bible says, “to the one who does not work, but believes in Him who justifies the ungodly, his faith is reckoned as righteousness” (Romans 4:5). Salvation is all of grace, meaning that it is free, gratis; it costs you nothing. That does not mean it is cheap because it cost God His Son. On the basis of His Son’s atoning death, God has made it possible for the ungodly person to stand in a right relationship before Him. God gives the sinner who trusts in Jesus Christ as his Savior full assurance that he is justified by faith in Christ, and He then treats the believing sinner as if he had been perfectly just, heir and joint heir with Christ. To justify the ungodly is a miracle of God. No sinner can justify himself. God alone can justify the ungodly. “The soul that sins will surely die.” “The wages of sin is death.” His grace reaches down and meets us in our worst state. We are ungodly and we do deserve the death sentence. None, but the LORD God would have ever thought of justifying the ungodly, and none but God is capable of doing that. How can God possibly treat the ungodly person as righteous? There is only one solution; Jesus Christ died as the substitute for my ungodliness. God is able to treat the guilty with abundant mercy, and the ungodly as if they had always been godly because of the substitutionary death of Jesus Christ. By His own precious blood Jesus Christ has actually put away our sin, and based upon that fact, for Christ’s sake, God deals with the sinner according to the riches of His mercy. By the grace of God, God justifies the ungodly. Jesus Christ was made sin for me, and died. He, moreover, blots out all our sins, and casts all our sins behind His back, even removing them as far as the east is from the west. How in the world can a just and holy God possibly justify the ungodly? Romans 3:21-26 gives us God’s solution. The only way God can be just and the justifier of the ungodly is by Jesus Christ dying as a vicarious substitutionary sacrifice for my sins. Jesus is the propitiation for my sins that God might be just. Salvation is possible only because Jesus died as a substitute in my place. Jesus vindicated the law by dying as my substitute. Jesus bore the sentence for the believing sinner. Jesus Christ bore the death penalty on behalf of all who believe on Him. God can now pass by your transgressions because He placed those sins upon His only begotten Son who then died for them. Believe that Jesus carried your sins away. He will remove them as far as the east is from the west. God justifies the ungodly sinner who believes in Jesus Christ. The person who trusts Jesus entirely as his Savior will not spend eternity in hell, but in heaven with the LORD God. 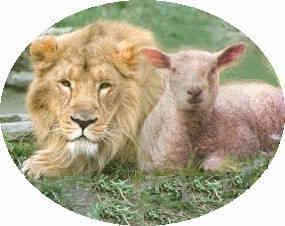 Every person who puts his trust in Jesus Christ can claim that the sacrificial death of Christ was made on his behalf. By faith the believing sinner has laid his hands on the head of Jesus Christ and thereby making that sacrifice his own. Our pardon has been written in the blood of Jesus Christ. It is the LORD God who justifies the believing sinner through the atoning sacrifice of His Son. Only God can justify the ungodly, and He does it in Christ. My only hope of salvation and eternal life lies in the full atoning sacrifice of Jesus Christ on the cross for the ungodly. Unless the blood of Jesus Christ cleanses me of all my ungodliness I will never stand a chance of going to heaven. Are you an ungodly, hell bound sinner? Oh, come to Jesus and believe in Him because God justifies the ungodly who call upon His name. “By grace you are saved through faith” in Jesus Christ.